There are currently 116,970 users on this website. I picked up a Cherrypicker's guide Volume II, and was surprised to find that Capped Bust halves were not covered. 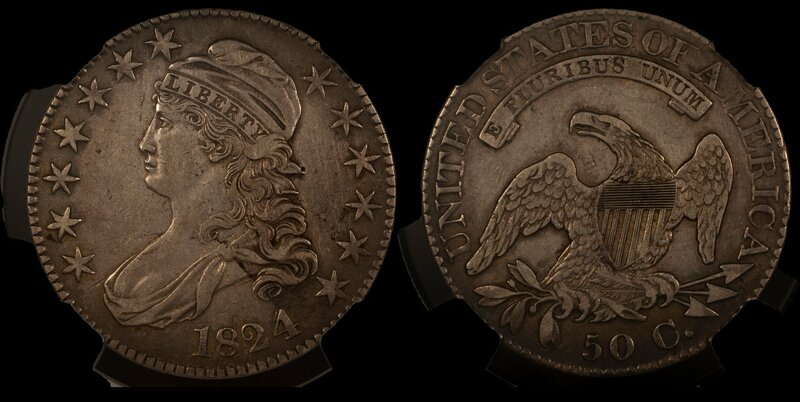 I found an online site and identified a 1824/1 variety for one of my slabbed coins (XF Details Cleaned). I also noticed that it has some doubling on the profile (or perhaps just MD with a Southeast shift). I checked the overton varieties associated with the 1824/1 and did not find a match. Any help would be appreciated as far as further attributing this coin or identifying it as MD. 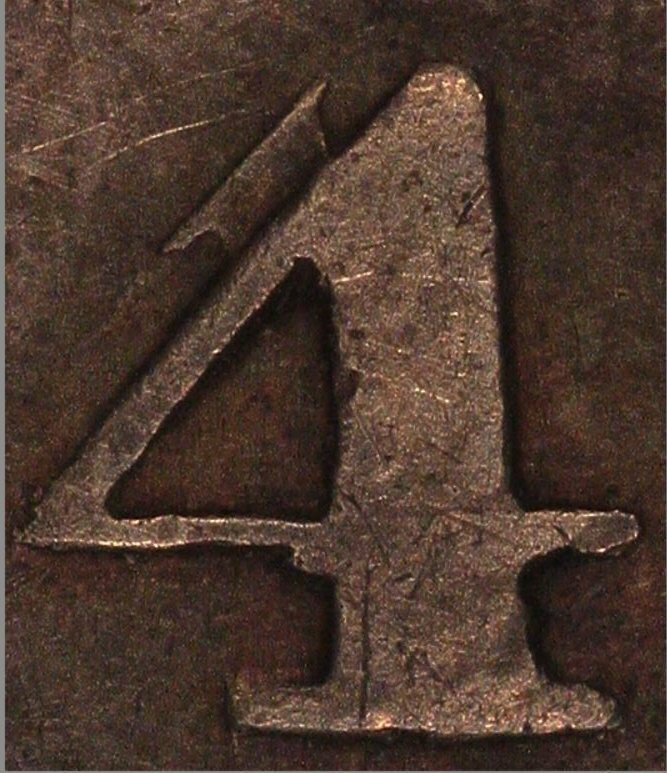 I am not familiar with Overton numbers but it looks like you have a 4/4 Type 1. Thanks for the correction CoinsKelly. Yeah, that was a typo, but I can no longer edit the post.